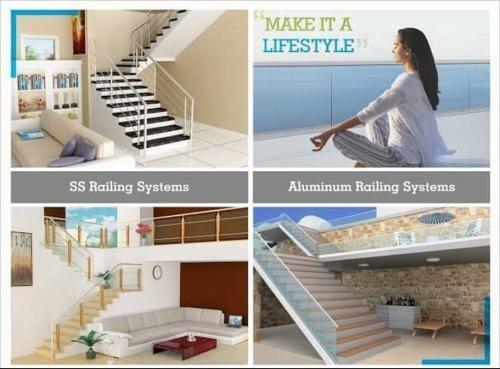 #Aluminum_Railing_Systems! Adorable_designs. Available in two finishes. #Silver_Anodized And #Champagne. I am taking this Opportunity to introduce you M/s Sha Hakmichand Hanaji Jain – the company with over 50 years of experience in Iron and Steel Industry located in the heart of the city with a good Reputation in the market. We are Dealers and Stockiest Mild Steel Products & Stainless Steel Products. We are happy to announce that we are increasing our Product Perspective more widely by Introducing Stainless Steel in the market. Now a days, Builders are also using Stainless Steel for Railing and Fabrication works.